The Knowledge Resource Division (KRD) is the research library that officially serves the CSIR-Structural Engineering Research Centre. It is one of the leading research libraries in the field of Structural and Civil Engineering in India, aiming to fulfill the research and information needs of the scientific and academic community of the institute as well as to scholars from other institutions from all over India. Nestled amidst the greenery in the campus the KRD building has been designed by the scientists of CSIR-SERC, to allow abundant natural light and quiet ambience, was inaugurated in the year 1994. Aesthetically laid, and in an ambience conducive to serious reading, is the modern centrally air-conditioned building. Its stately reading hall of two floors height houses the reference collections and the current journals. The stacks hold the back volumes for convenience of reference. This area also houses the standards collection. On the mezzanine floor, books are arranged in bays for easy location using bay guides and shelf locators. The KRD’s collection, over 40, 000 consisting of books, back volumes, standards, microfiche, maps, cd roms, covers all aspects Structural Engineering and its related sciences, not limited by format, or national boundary, and including research materials from all parts of the world and comprising of documents in English, Hindi, French and German languages. The librarians at KRD are assigned as liaisons to facilitate discovery, retrieval, and integration of print and digital information. Thanks to highly advanced access and retrieval technologies together with professional expertise, the huge collection of knowledge is made available at every staff member’s desktop itself. The KRD offers a wide range of services to satisfy all kinds of requirements that can be tailored to suit specific needs. 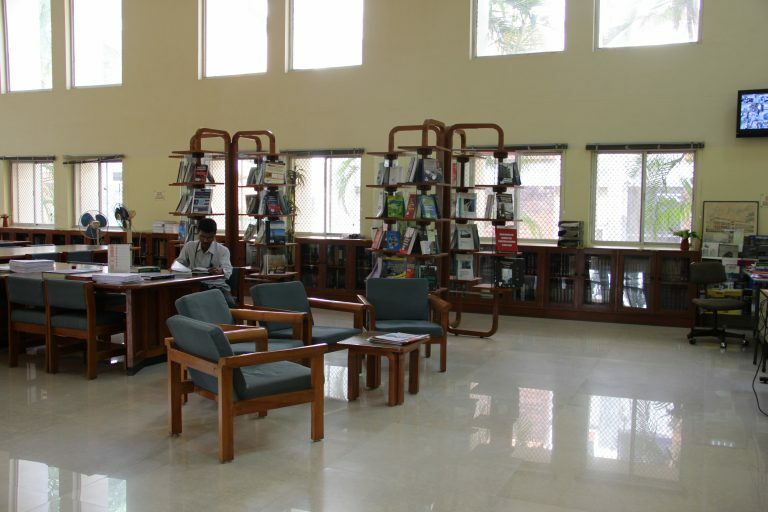 Apart from automation of the library activities new services are being continuously developed incorporating advances in information technology. All operations and services of the KRD have been automated using AUTOLIB and is in the process of shifting its operations to KOHA, an open source library software. A web OPAC module facilitates search on the intranet/internet environment. Users have seamless access to all resources from their desktops. KRD portal – a single window to access KRD resources – through Intranet. Web OPAC – the web OPAC provides the following search interfaces to access resources: Simple Search, Advanced search (Query builder), Restricted Search, and Dictionary-Based Search. Cover and Contents Page Services – The cover and contents pages of books are being scanned and linked to the respective record at the time of cataloguing the books. The user can view content pages in the Web browser along with the bibliographical details while searching from his desktop itself. Auto Overdue Reminder Service (AORS) An email alert service for overdue documents are sent daily until the documents are issued, returned or renewed. Institutional Repository (IR) – An institutional repository has been setup to archive all the publications of CSIR-SERC using open source digital library softwares such as Greenstone library software (GSDL) and DSpace. This allows users to browse and search the resources of the institution and also to view full-text of the retrieved articles based on metadata. CSIR e-journals consortium – access to Science Direct (Elsevier), Wiley, Springer, ASME, ASCE online databases is available through the consortium. Research Alert – A bi-monthly current awareness service, covering articles from journals received (since 1991). Also covered in this publication is a recent additions list (books, proceedings, reports, etc), new softwares in the field of structural and civil engineering, highlights of research at CSIR-SERC, latest research news from around the world and details of future conferences, seminars, symposia and workshops. This publication is also offered on an annual subscription of Rs.1000. The KRD is an institutional member of the American Concrete Institute (ACI), Computer Society of India (CSI), Construction Industry Development Council (CIDC), Consultancy Development Centre (CDC), Cooling Technology Institute (CTI), Federation Internationale du Beton (FIB), Indian Buildings Congress (IBS), Indian Institution of Bridge Engineers (IIBE), Institute for Steel Development and Growth (INSDAG), International Association for Bridge and Structural Engineering (IABSE), International Society for Structural Health Monitoring of Intelligent Infrastructure (ISHMII), Indian National Science Academy (INSA) and the British Council Library, Chennai. KRD provides expertise in : setting up a library, creation of databases, library automation, digitization, institutional repositories, and implementation of bar coding system, RFID library security system, innovative library and information services and ISO certification for libraries. The KRD is also open to non SERC/CSIR users, with several categories of memberships being available. Monday – Friday 9 A.M. to 5.30 P.M.